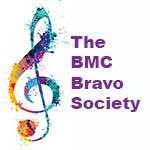 The BMC is proud to present a Faculty Recital Sunday, April 29 at 4pm at the BMC Auditorium. Cellist Paul Cohen and pianist Nicholas Burns will play Beethoven’s Sonata in F Major for Piano and Cello, Op 5, No.1; Thuille’s Sonata in D Minor for Cello and Piano, Op. 22; and Mendelssohn’s Sonata in D Major, Op. 58. Tickets for the concert – set Sunday, April 29 at 4pm at the BMC Auditorium – are $30 for patrons, $20 general admission, and $10 for students, with BMC students under 18 admitted free. Paul Cohen studied cello with Fritz Magg and Janos Starker at Indiana University and began his professional career with the Atlanta Chamber Players in 1982. During the next four years he performed in numerous concerts throughout the southeast, as well as playing debut concerts in Boston and New York. In 1986, he joined the Apple Hill Chamber Players in New Hampshire. Throughout his career, Cohen has appeared in numerous solo and collaborative recitals, including performances of the complete cycles of Beethoven’s Sonatas and the Bach Cello Suites. Additionally, he has been the recipient of the C.D. 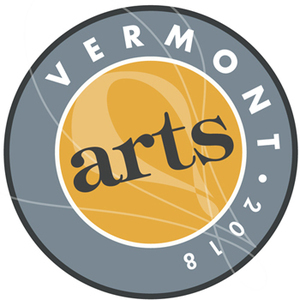 Jackson Master Award from the Tanglewood Music Center as well as an Individual Artist Fellowship from the New Hampshire State Council on the Arts. As a teacher, Cohen has led a class of cellists at Amherst College, and has been an artist-in-residence at Emory University in Atlanta, and at Keene State College. British Pianist Nicholas Burns has performed in US, Canada, Spain, Germany and all around the UK. His performances have been broadcast by BBC Radio 3 and Radio Maribou (Germany), and he has recorded three critically acclaimed albums for Nimbus. He is most often heard alongside violinist Louisa Stonehill as part of the Steinberg Duo. This season sees his first appearances in New England, including a recital series at the Redfern Arts Centre at Keene State College, as well as the release of a new recording of Violin Sonatas by John Ireland, Franz Reizenstein and Geoffrey Bush for Lyrita.